"Great staff, great breakfast and the villa is so cosy and th..."
Have a question for Villas Edenia Resort? "Breakfast is tasty, staff is fantastic!" "Overall very good , happy can stayed there"
"The resort is clean, with private pool." Villas Edenia Resort is located on the beautiful island of Gili Trawangan, within a five-minute walk to the beach on the “Sunset” side of the island. 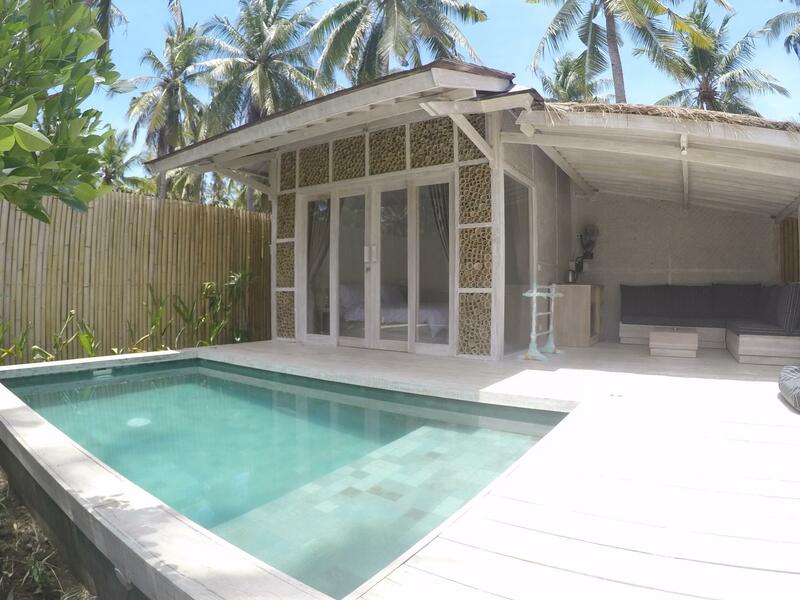 The property comprises of 6 two-bedroom villas and 5 one-bedroom villas. The villas feature modern and tropical designs that embrace the atmosphere of the island with minimalistic modern lines. Each villa is fitted with modern amenities, including air conditioning, a flat-screen satellite TV, an electric kettle, a mini bar, and more. Each villa features a large and comfortable bedroom, a walk-in dressing room, and a semi-open en-suite bathroom. 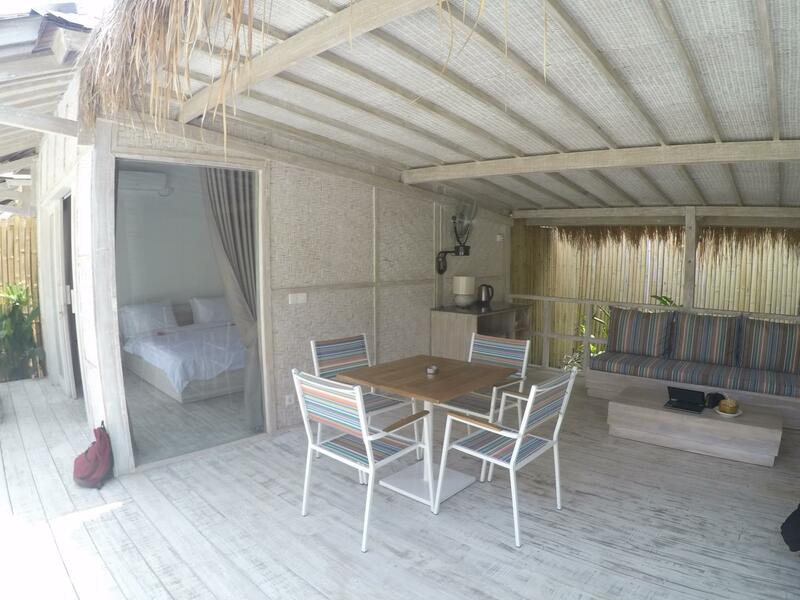 The one-bedroom villa is 98 square meters and the two-bedroom villa is 182 square meters. The bedroom is flanked by an open-air lounge facing a private swimming pool. The restaurant offers a delicious journey around the Mediterranean Sea with dishes coming from Greece, Italy, France, and Spain with a touch of Northern African influence. "We really had so nice holiday." Great staff, great breakfast and the villa is so cosy and the private pool just completed the villa stay! There is a wonderful manager who name is Marisela! She looked after us like we are in mother! We really had so nice holiday. This place leave me speechless. You get what you see in the pictures posted. Nothing was a lie.The only setback was it is located in the middle, around 7 mins bike ride to the Gili T central (sunrise beach) and 5 mins to the sunset beach. Perfect place if you come in a group or with family. For couples, the street to this villa is quite dark in some area but according to locals, it is safe in Gili T. But beware of the cows and goats in the dark. the resort is clean, with private pool. Breakfast is tasty, staff is fantastic! the location is about 1km from main street, walking takes about 20 mins. rent a bicycle. will come back one day!! Good new resort in Gili T. Great breakfast, good facilities, very attentive staff. Hemos pasado 3 noches en Villa Edenia 2 parejas y solo podemos decir cosas buenas de nuestra estancia. La directora, Marisol, es una persona maravillosa y se ha preocupado en todo momento por hacernos sentir mejor que en casa. Las villas son super bonitas y tienen todo lo necesario para sentirte cómodo. El desayuno muy bueno con gran variedad para poder escoger y con la opción que te lo traigan a la hora deseada a la villa. De toda nuestra estancia por Indonesia, ha sido uno de los lugares donde mejor hemos comido. Recomiendo al 100% el restaurante. Cocinan rápido y muy bien. El trato con los empleados también ha sido estupendo, así que recomiendo alojarse en este sitio. Marisol, gracias por todo y seguro que nos volveremos a ver.